Are you a “the glass is half empty” person or is it “half full?” Or perhaps you think about the weight of the glass feels heavier the longer you’ve been holding it for? This image is about reflections, opposites and contemplations. I experimented with shutter speeds to freeze the flow of the wine then did a partial black and white conversion. It is also represents black and white thinking, extreme thoughts and acting opposite to how you think and feel. 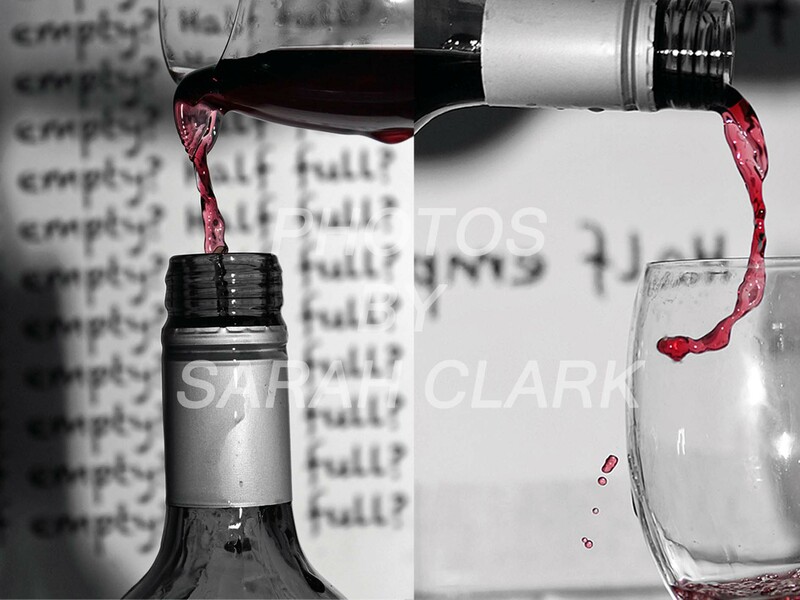 Most people would think about wine being poured into a glass – but I wanted to do something quirky and take a photo of it going back into the bottle! Timing is everything in a shot like this – so it’s also about missed opportunities. It could additional represent challenging thinking patterns – logically should the images be reversed and the right be on the left?